Fabrication has long been considered a minor player in the performance of architecture.1 The industrial production of parts for assembly is often the last step of design and is commonly understood as a process of mere optimization. Consider the rationalization of surface panels on the Experience Music Project by Frank Gehry or the façade of the Phare tower by Morphosis. Here, fabrication is an enabler for formal articulation, giving designers more for less! Yet in this model, the act of fabrication is seen as merely a means to an end. The following is a snapshot of research that sees a new role for fabrication in the discipline. 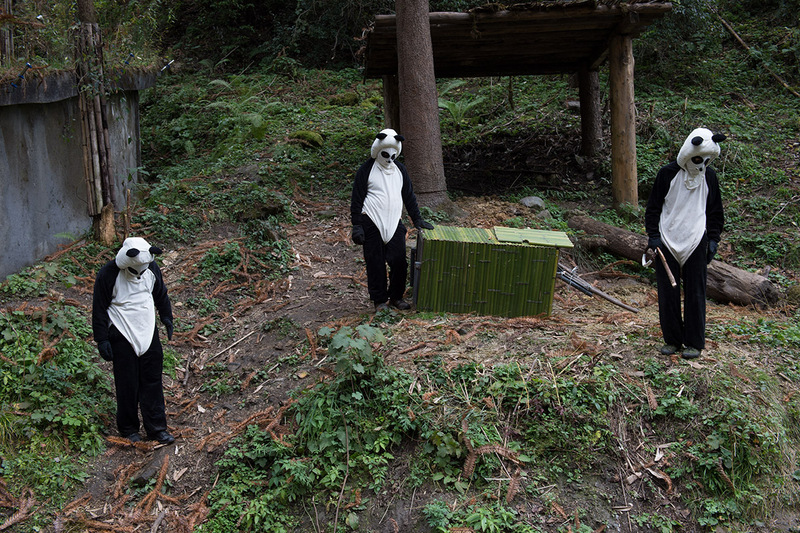 It focuses on the act of performing, and the feat of fabrication. In the process, it examines the slippages of collaboration, performance’s medium specificity and a renewed interest in the site of production. Performing Fabrication 01, May 2014. At Labatut Pavilion, Princeton School of Architecture. Photo courtesy of Reimaging. 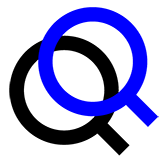 Site-Medium 2×2 Diagram. Image courtesy of Reimaging. A primary focus of our research is to propose a new model for collaboration. In contemporary architectural practice, the predominant digital platform for collaboration is Building Information Modeling, or BIM. Its development has been aimed at allowing many contributors to the design, planning and management of a building to work on the same file at the same time. Multiple designers, stakeholders and standards impact a single model, and design unfolds through a process of online collaboration and conflict management. Analogously, we reconfigure fabrication by focusing on collaboration as a salient attribute of the digital design process. The physical act of making has become a scripted performance, requiring a precise orchestration of parts and people according to the parameters of a digital model. The Reimaging Fabrication project aligns the analog and improvised procedures of making—such as communication slippages, file naming etiquettes and plaster-to-water ratio preferences—with a familiar nomenclature for representation within the design process. Common sets of procedural inputs are to email, search, find, upload, reference, link, print, scan, photograph and yell. While common sets of representational outputs are to overlay, time-lapse, draw, mock up, model and compute. Stewart Platform Control Interface Screen Capture. https://vimeo.com/98720856. Video courtesy of Reimaging. 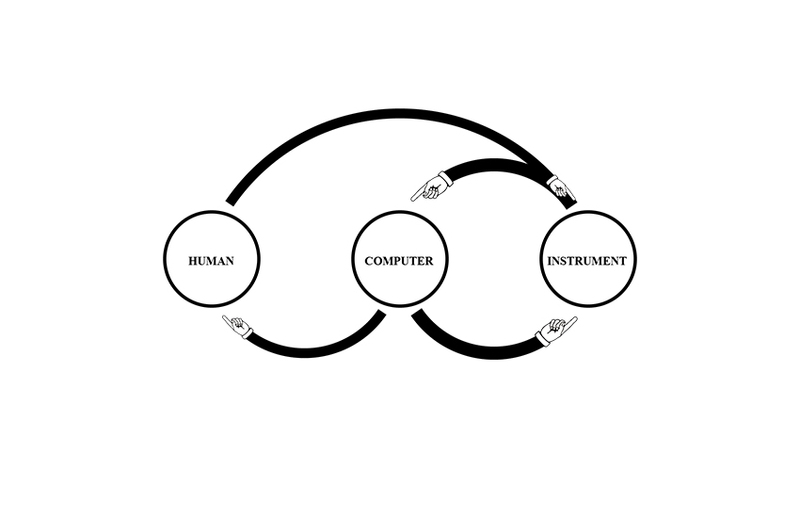 Human-Computer-Instrument Flow Diagram. Image courtesy of Reimaging. A robust system that allows for all available input streams is necessary for fabrication to perform, and a delicate balance of these contingent factors must be achieved. For instance, Stewart—a robotic platform that uses triangulated weight sensors to measure and respond to the center of mass of objects within its reach—prompts collaborative interaction in multiple manners. First, by streaming data to an external monitor and requiring live interaction, it forces multiple designers to be in attendance. While at least one designer fabricates objects alongside Stewart directly, another must read its outputs (such as the overall weight distribution of the fabricated object throughout the process) and operate its peripherals (such as robotic adhesive deposition, material casting, etc.). Communication between designers is active and adjustable. Secondly, for all intents and purposes Stewart is indifferent to the visual qualities of what it measures. This is the job of the designers. By focusing on non-visual phenomena such as weight distribution and center of mass, the platform responds regardless of material type and enables a loose relationship between robot and material form. This setup celebrates the availability of multiple inputs and eliminates any concern of incompatibility. The more the merrier. Score for Robotic Assembly with Three Participants. Image courtesy of Reimaging. 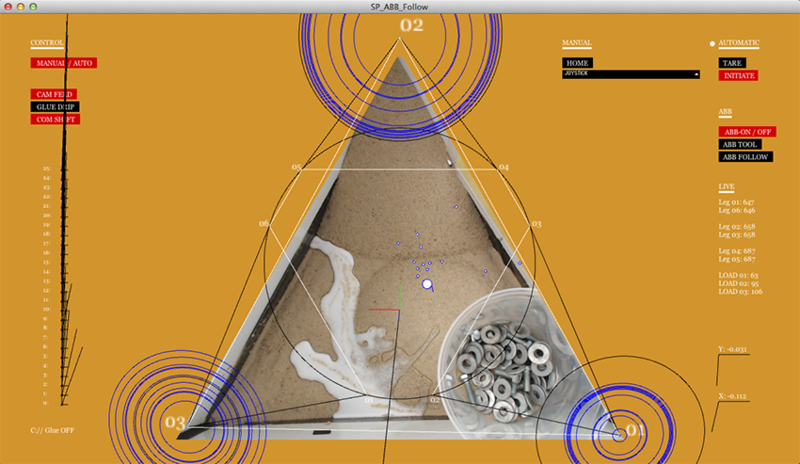 Compression tower assemblage + Score, Overlay View. Image courtesy of Reimaging. If an architectural drawing describes form, then a score enables process. As an abstract notational document that choreographs a physical performance, it configures bodies in motion to execute specific tasks. 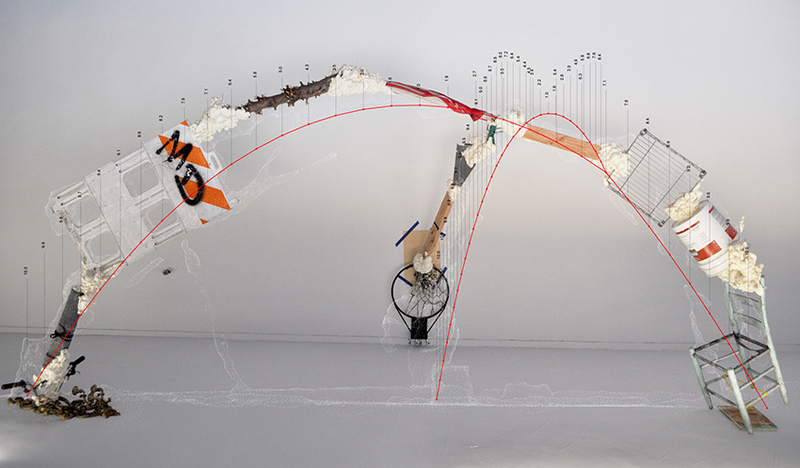 A score signals action, indicates measures (both in duration and amount of material) and, in the context of architecture, embodies the process of fabrication. Shown here is a snapshot of a score that conducts three participants and their respective material depositions alongside a robotic adjustment process. It focuses on who, where and how, rather than what, at least in a visual sense. Like Merce Cunningham reloaded, this composed instruction document requires impromptu interpolation at the moment of execution. The score makes room for contingent behavior between human and material, and computation in the round. Our work takes the role of automation and robotic fabrication in design as a given, and seeks to expand upon the mechanics of control. Robotic machinery requires precision, which we exploit as a side effect with unexpected applications for architecture. Typically, precision is regarded as a matter of fidelity, achieved through repetition and the homogeneous control of material. Instead, we look to leverage the capabilities of robotic control to coordinate heterogeneous material assemblages and to control unforeseen human factors. Thus, the score emerges as a medium to coordinate strict kinematic robotic control, record data sensed in situ and direct human engagement simultaneously. The score triangulates multiple streams of information into a time-based medium that focuses exclusively on the act of making. Thus, equipped with data on data, the score compresses the virtual and the real. Development therefore lies in the legibility of instruction and synergies between data sets. In Rubber Trusswork, for example, a series of stills shows the view from a robotic platform. Though nearly incomprehensible to our eye, this privileged perspective offers analyzed data input of designer action. 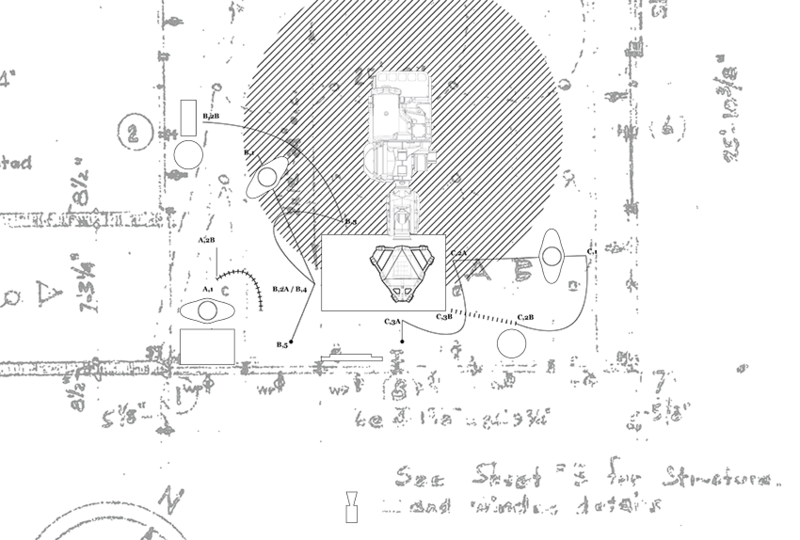 How we work, where we move and the amount of material deposited are all digitized and translated into instructions for successive robotic response. For the design of a truss with undefined connection details and irregular members, Stewart could evaluate load distribution and counter stochastic material movement with subtle counterbalancing, which assisted our cast in place technique. Our work relies on the score to present visual abstractions of how phenomena emerge and how machines operate. Rubber Trusswork, platform view of construction—Time-Lapse Stills. Image courtesy of Reimaging. A score is invariably accompanied by documentation of its performance. Inherently ephemeral, the performance requires a point of view and a recording to be captured. From the YouTube black hole of robotic demonstrations (pick-and-place hot dogs, bricklaying mastery) to the entrancing appeal of time-lapse construction videos, viewing the act of fabrication is undoubtedly familiar. In response to renewed critique in architecture of the overbearing proof-of-purchase and demand for quantified judgment,2 performance and demonstration promise to go beyond the limitations of static representation or final artifacts to describe the intricacies of making. Show all your cards; have faith in your hand. Imaging the process of fabrication provides a porthole to an object’s origin. Process, as a part of the project, reveals both what was made and how. Accordingly, demonstration leans on the fact that “seeing is believing,” and captures the nuances of process erased upon completion. We might marvel at a structure’s miraculous stature when scaffolding is removed, but, in fact, the method of its erection might lend greater insight. The Found Object Catenary, for example, was built at a scale large enough for 2426 Washington Street, the studio it was made in. 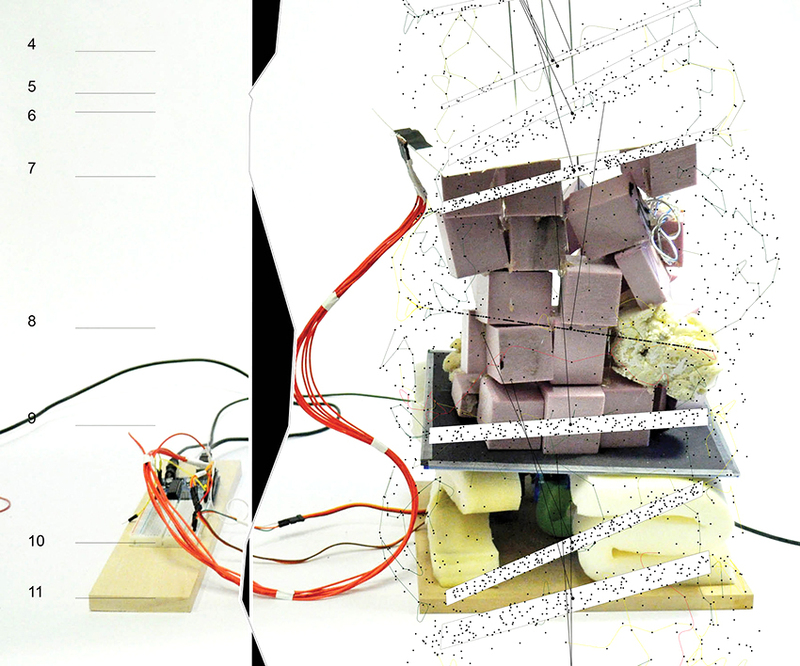 This installation created a strategy for constructing a structurally stable space from an assemblage of heterogeneous parts found around Los Angeles. We digitized the found objects and recombined them into compression arches with a series of bespoke computational tools. This version shown, as developed at 2426 Washington, focused on maximizing object-type juxtapositions and allowable part-to-part connection tolerances. Its details describe the method and logic of its fabrication. What you see is what you get. The relentless documentation of making within the confines of non-ideal sites and rooms with their own rules is important in our research. Accompanying the final object, we displayed an elevation drawing overlaid with its digital simulation. In this work, neither are privileged and both are required. Performing Fabrication 01 Site, 4 Designers, 2 Prepared Instruments, Audience to the South. Image courtesy of Reimaging. Found Object Catenary, overlay view—2426 Washington, Los Angeles California. Photo courtesy of Reimaging. For fabrication to become visible, all variables must be considered. The site of the shop, defined by regulations, time frames and machine-centric plan layouts, is a developing interest in our research. Fabrication performs in sync with its site. 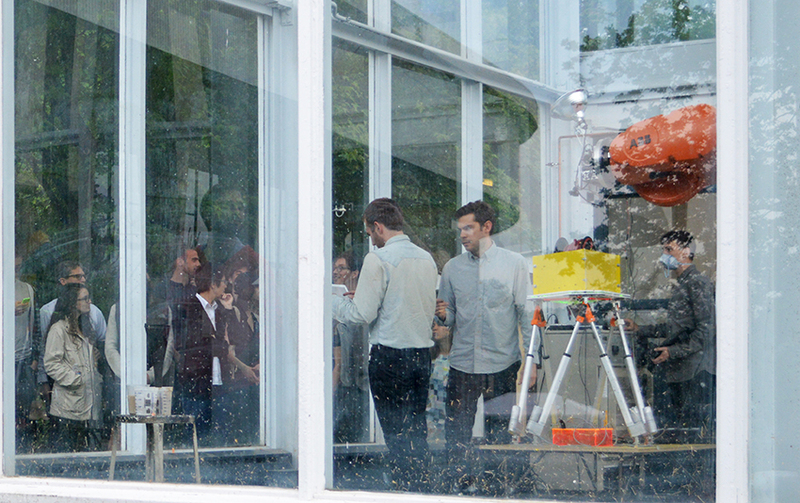 Performing Fabrication 01 was a live performance of design through making. 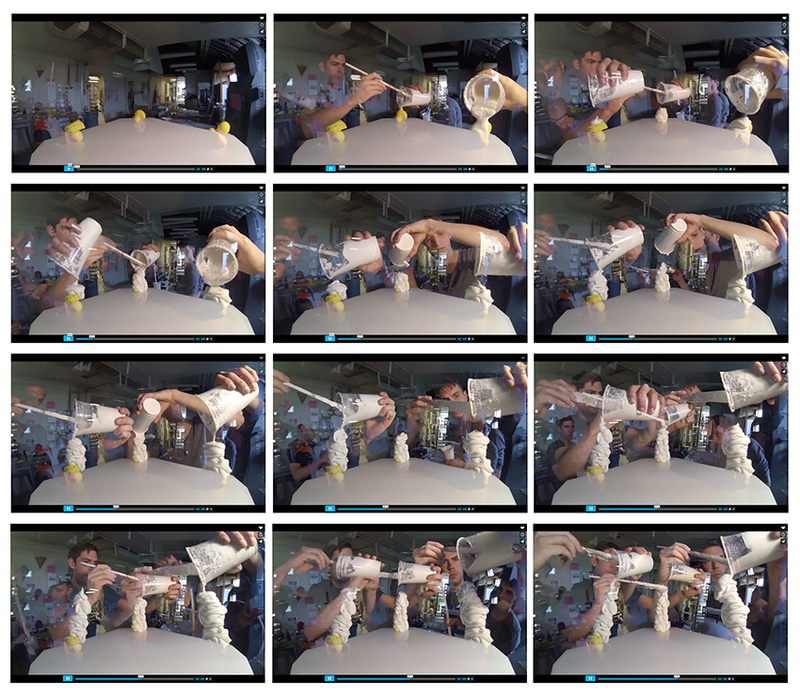 It engaged a large cast of participants—four designers, three cameras, two screens, one robotic arm, one parallel robotic platform and an audience of roughly fifty people—both inside and outside of the Labatut Lab at Princeton University. Designer 01 initiated the performance and communicated the robotic outputs. Designers 02 and 03 fabricated alongside the machines, inputting materials and making decisions on the fly. Designer 04 sporadically communicated to the crowd live updates and clarified any questions that arose. The audience gasped, sneered, imagined and, finally, applauded. The act and the object were completed together. 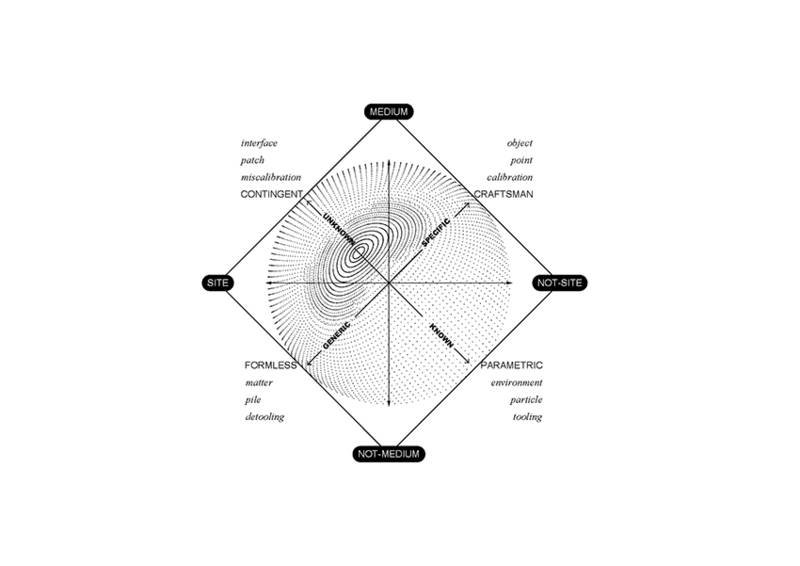 Absent many of the formalities of a design studio, Performing Fabrication authored a provisional vocabulary for design—one focused less on the finite description of forms and more on communication between human and nonhuman behavior. It improvised by mixing rapid material processing, choreographing responsive machinery and amplifying feedbacks for collaborative making. With the immediacy of active participation on center stage, fabrication became a compositional practice. Building on this, the Found Object Catenary (two designers, two cameras and an unknown audience of pedestrians), assembled at 2426 Washington, took its final cues from its site, laborers and the act of assembly. Scored without being scripted, its methods for ordering and joining parts together composed form on site. Parts were collected, photographed and analyzed for properties (weight, length, center of mass, etc.) that could inform their placement within a larger structure. Rough data on the parts was then run through a computational model to align them in strings and suggest methods of assembly. 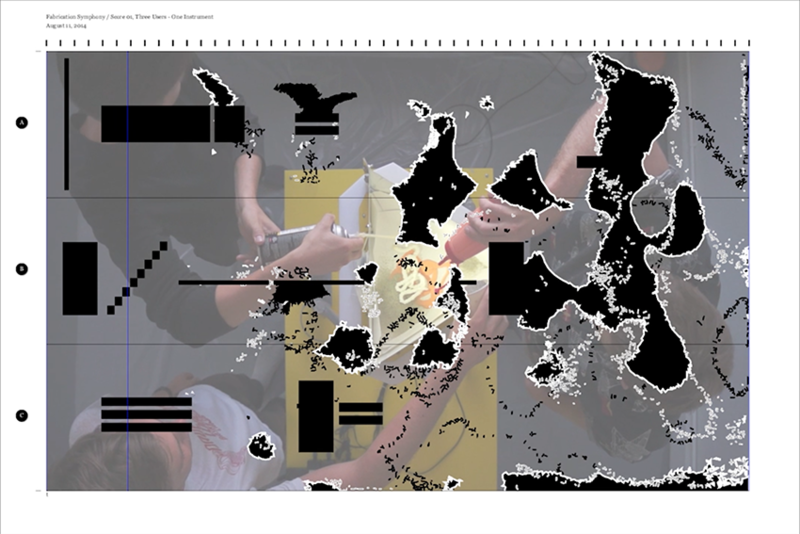 Guiding this process, the score is composed of instructions for both global assembly and the connection of each local part, while retaining its spatial intent. This process allows for a loose fit and computational corrections on site. The regulations, parts and particles of the shop as a site, from the ancillary space they have been allocated in the discipline, provide a starting point for reimaging the role of fabrication in architecture. Gabriel Fries-Briggs teaches at UCLA Architecture and Urban Design. He has written about architecture for the journals Pidgin, Nova Organa and Spacer and contributed to the book Robotic Fabrication in Architecture, Art and Design. Brendan Shea is from the desert. Nicholas Pajerski is from Nebraska and is currently an Environments Designer at IDEO in San Francisco. He holds a master’s of architecture from Princeton University. All work shown here is attributed to the design collective Reimaging, and their project Reimaging Fabrication, most of which was completed at the Princeton School of Architecture, specifically the Labatut Pavilion and Workshop.